Christmas calls for so many cosy get-togethers with friends and family and Christmas trivia is the perfect game to get everyone involved. 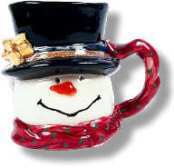 Gather around the fireplace, sip on some hot cocoa, and compete to find out who knows the most about Christmas. 01. What did Pierce Egan add to the basic eggnog recipe when he created a variation of eggnog called "Tom and Jerry." 02. In what year did the US postal System issue its first Christmas stamp? 03. How many times is the name Santa Claus used in "the Night Before Christmas"? 04. What two reindeers are mentioned in the song "Here Comes Santa Claus"? 05. What country started the gift exchange tradition? 06. In "Gift of the Magi", how much did Della get for her hair? 07. Who wrote "The Night Before Christmas"? 08. What was the first artificial tree made of? 09. What musical instrument was "Silent Night" first played on? 10. 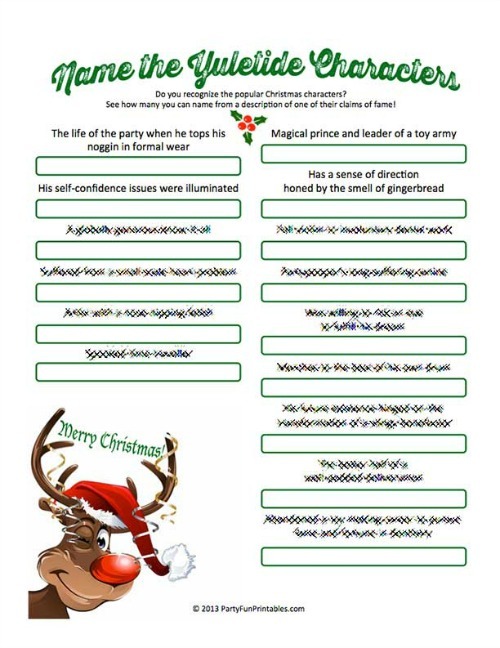 Which of the following names was not considered for Tiny Tim's character in "A Christmas Carol"? 11. What is Santa's name in Holland? 12. In what country was the first Christmas card created? 13. In what country was the poinsettia first grown and known as "Flower of the Holy Night"? 14. In what country did the real St. Nicholas live? 15. In what ocean can you find Christmas Island? 16. 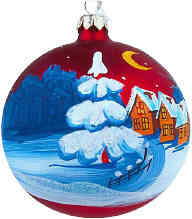 Which US state was the first to recognize Christmas as an offical holiday? 17. In "It's a Wonderful Life," what is the angel's first name? 18. What are hot cockles? 19. If you were to receive all of the gifts in the song "The 12 Days of Christmas," how many gifts would you receive? 20. In what European country is "The Nutcracker" set? 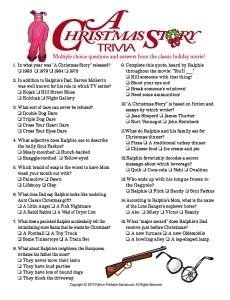 Would you like a printable version of this Christmas trivia? 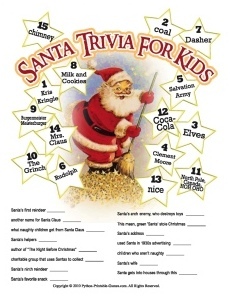 a printable copy of this Christmas trivia. Please remember this game is copyrighted and for personal use only. DO NOT post it online or on forums, blogs, etc. Thank You! 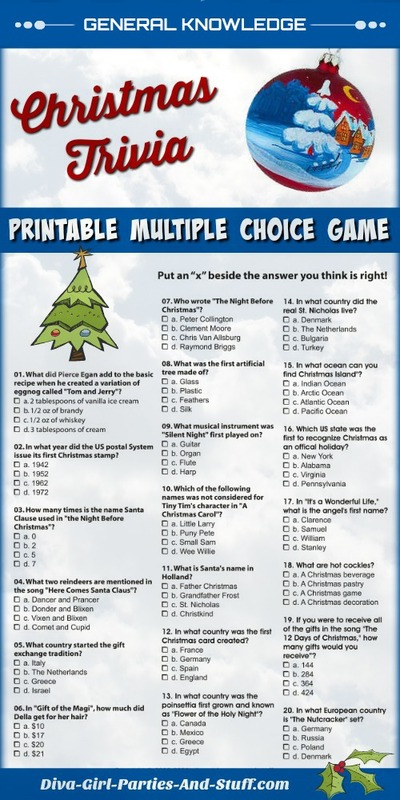 To view this printable Christmas trivia, you will need Adobe Reader installed on your computer (the latest version is recommended). You can get your free Adobe Reader here (a new window will open so you can download without leaving this page).